In 1832 the Lord posed this question: “For what doth it profit a man if a gift is bestowed upon him, and he receive not the gift? Behold, he rejoices not in that which is given him, neither in him who is the giver of the gift.” From the moment Joseph Smith died those who believed he was a prophet began to lose memory of what God revealed through him. The pace of forgetting has accelerated. Today the challenge is two-fold: First, finding the truth despite the deliberate efforts to conceal and modify the record. Second, once found, accepting in gratitude what God offered by repenting and returning to His path. We fail these tests when we ignore, oppose, dismiss, reject and allow fear to control us. Christ on the day of His resurrection said: “O Fools and slow of heart to believe all that the prophets have spoken.” Our challenge is identical to that faced by all believers since Adam. As a public act of remembrance, I spent a year giving ten lectures within the Mormon corridor reiterating the foundation of the faith. These lectures began on September 10th, 2013 and ended 365 days later on September 9th, 2014. After 40 years of faithful membership in the LDS church, I was sent by the Lord to preach the restoration so others could also remember. This book is a reference work on the restoration through Joseph Smith. In addition to incorporating material from the ten lectures, additional chapters have been added and the content has been refocused for readers beyond the Mormon corridor. 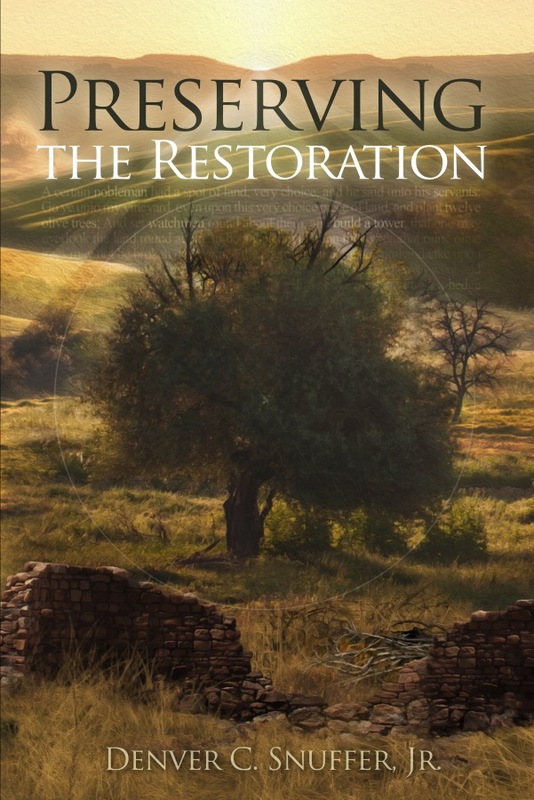 Everyone interested in the restoration will benefit from this book. Whether LDS, Community of Christ, FLDS, UAB, or someone who just wants to know more about the beginning and objective of Joseph Smith’s work, this book helps explain the original direction, as well as map out a way to continue to the final destiny of Mormonism. Mormonism is a revolutionary religion intended to reshape the world. Thus far Mormonism has been treated as an asset to be exploited. It has been used for financial, social and political gain for some very few, and therefore has been reshaped by the world and worldly pursuits. It is a religion that can and should allow all to practice it apart from the control by the craven and ambitious. This book discusses the earliest roots of Mormonism. It relies extensively on early Mormon documents, diaries, journals, contemporary correspondence and contemporary news sources to trace back to the beginning of the Mormon faith. It examines the social, legal and political influences that have reshaped key doctrines in Mormonism.